« Cape May Zoo Red Panda Finds Love in D.C. 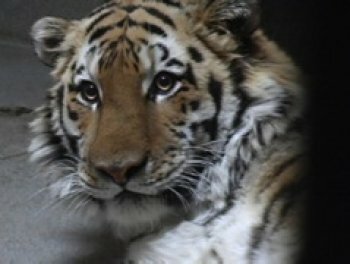 The Cape May County Zoo moved its 500-plus pound Siberian tiger so his exhibit could be renovated. Rocky is the zoo’s only tiger and one of the most popular attractions at the zoo. Born at Six Flags Great Adventure in Jackson Township, Ocean County, he has enjoyed good health since his arrival in 2002. Veterinarian Dr. Alex Ernst used a dart in Rocky’s rear to sedate him in a matter of minutes. Ernst and zoo Director Dr. Bert Paluch examined Rocky, took his blood, hooked him to a heart monitor to check his vitals before moving him. They with help of county employees hefted him onto a tarp then onto a pallet that transported him to his temporary den. Once the move was complete, Ernst gave Rocky an injection designed to reverse the effects of the sedatives. In a matter of minutes, Rocky was conscious, and enraged. Ernst said Rocky’s reaction was expected. The drugs made him delirious and excitable. When the cat woke, he was disoriented and in a new surrounding. This lasted about a minute before he settled down and slept it off. Once settled he will most likely explore the pond and surroundings. All in all the move was a success. In a month or two the zoo will repeat the procedure when they return him to his old pen. This entry was posted on Friday, April 24th, 2009 at 6:55 pm	and is filed under Uncategorized. You can follow any responses to this entry through the RSS 2.0 feed. Both comments and pings are currently closed.